While Apple has yet to release its promised official wireless AirPods charging case, another company is preparing to ship it’s Qi wireless charging case for Apple’s wireless earpods later this month. AirPlus is a new protective case for Apple’s AirPods that adds Qi wireless charging functionality for as low as $15. 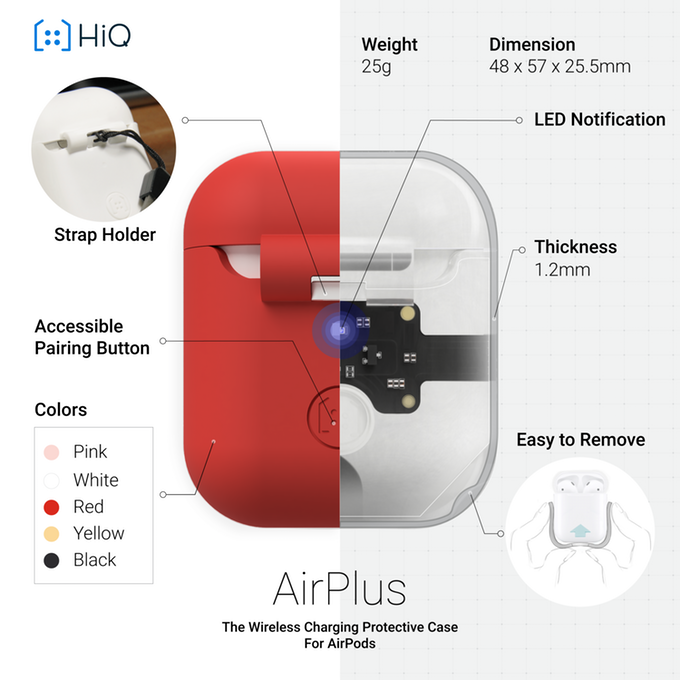 Already funded on Kickstarter, AirPlus is available to pre-order now ahead of an expected ship date later this month. The low-cost option brings Qi wireless charging capability to users’ AirPods. The case works with Qi chargers already on the market. In addition to providing wireless charging capabilities, it also acts as a protective case, guarding against drops, dust, water, and scratches. The case measures in a just 2.5mm thin, so it doesn’t add much bulk to your AirPods case. it will be available in six colors, including white, black, red, grey, rose gold, and sky blue. The AirPlus slides over your existing case, and includes a pairing button and an LED indicator for checking your case’s charging status. A built-in strap holder allows the company’s strap accessory, which s included with preorders, to attach to the case. The company says the case will wirelessly charge around the same time as a Lightning cable, so it won’t take longer to charge. 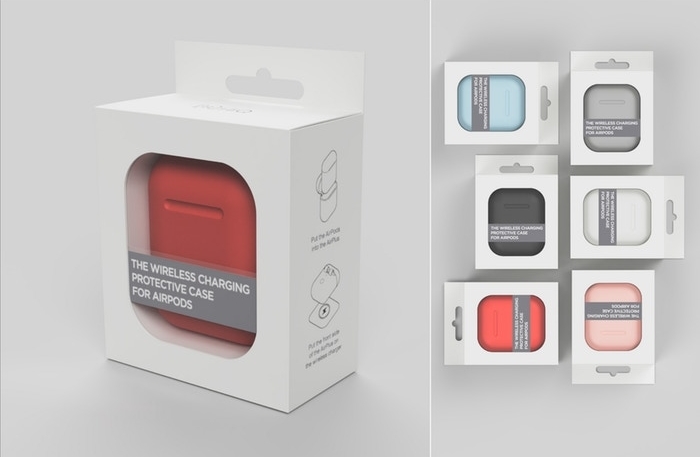 For more information about the AirPlus, or to preorder the case, visit their Kickstarter page.